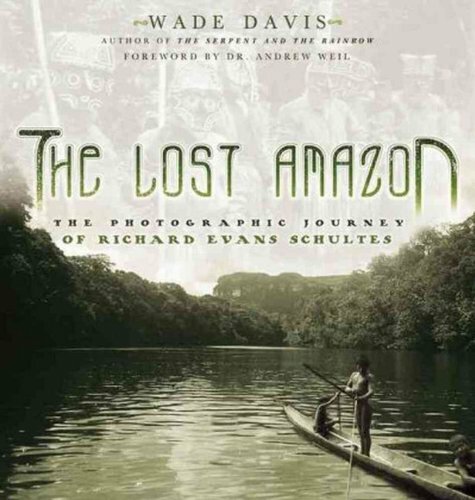 A collection of photographs and field notes documents the accomplishments of anthropologist and explorer Richard Evans Schultes and his expeditions into the wilderness of the Amazon basin, living among two dozen native tribes, mapping rivers, and collecting and classifying thirty thousand botanical specimens. Wade Davis is Explorer-in-Residence at the National Geographic Society. A student and biographer of Schultes, he is the author of numerous books including the best-selling The Serpent and the Rainbow and the recent Light at the Edge of the World. He divides his time between Nova Scotia and Washington, D.C.
Andrew Weil, M.D., is an internationally recognized expert on medicinal herbs, mind-body interactions, and Integrative Medicine. A frequent guest on Larry King Live and Oprah, he has also hosted his own PBS television specials. Dr. Weil is the author of eight books.